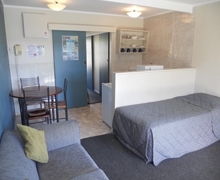 Casa Blanca Motel offers an extensive range of comfortable affordable Whangarei style* accommodation in a large park-like environment adjacent to State Highway 1 and only a few minutes walk from the centre of Whangarei city. We are well located for visiting Whangarei Hospital, ITM Stadium, Kensington Stadium and exploring Northland. We cater for individual travellers, families, groups and workers. If you are travelling on a budget and appreciate spacious natural surroundings then Casa Blanca Motel is the accommodation for you. 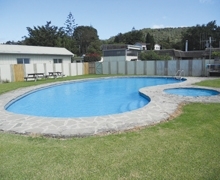 *Whangarei style accomodation: Traditionally Whangarei always gave you plenty of space and we believe in tradition. You need room to breathe. Cramped rooms are for sardines. Clean, comfortable studio, 1-bedroom, 2-bedroom and 3-bedroom accommodation in 3 separate blocks - all including kitchen facilities, new carpets. 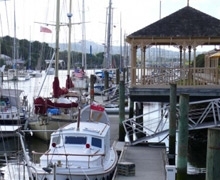 Whangarei offers visitors a wide range of activities including beaches, Whangarei Falls, Town Basin, walkways, Kiwi House, gardens, art galleries and more.